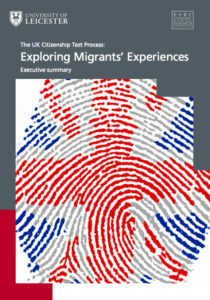 The launch of a report detailing the experiences of migrants coming to live in London and Leicester. For more information about this event email: mh528@le.ac.uk. Citizenship and Belonging in Unsettling Times has been organised in collaboration with the Leicester Migration Network, and the Unit for Diversity, Inclusion and Community Engagement (DICE) in the School of Media, Communication and Sociology at the University of Leicester.